How would you rate your experience with HBO ? HBO was founded by Charles Dolan, who devised a system of underground cables to deliver closed circuit tourist information to hotels in the New York metro area. In 1973, Time Warner purchased a 20% interest in Dolan’s company. This was the humble beginnings of what would become one of the largest and best-known pay cable channels. In 1975, HBO became the first television channel to operated 24/7 via a satellite system. By 1980, HBO was carried by cable providers to all 50 US states. The 1990’s saw increasing success with shows such as Tales from the Crypt and The Larry Sanders Show. HBO gained in popularity with nearly every new show produced including The Sopranos, Game of Thrones, A Song of Ice and Fire, and True Detective. 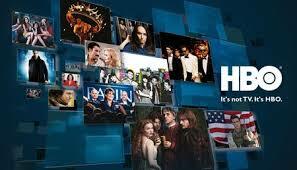 The network provides seven 24-hour multiplex channels, including HBO Comedy, HBO Latino, HBO Signature, and HBO Family. It launched the streaming service HBO NOW in April 2015 and has over 2 million subscribers in the United States as of February 2017. 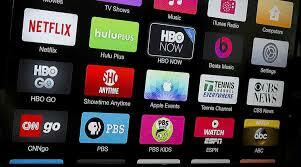 In October 2018, the company announced that it would offer a streaming service similar to Netflix with HBO as its base sometime in 2019. In 2016, the company had annual revenue of $5.89 billion and an operating income of less than $2 billion. Company headquarters remain in New York, New York. HBO operates as a subsidiary of Warner Media. Question 1: What is the phone number for HBO? Answer 1: The phone number for HBO is (212) 512-1000. Question 2: Who is the CEO of HBO? Answer 2: The CEO of HBO is Richard R. Plepler. Question 3: Who founded HBO? Answer 3: HBO was founded by Charles Dolan in 1972. I have the ability to enter new potential customers to your business. When would it be possible for You to talk? Want to make sure HBO sees your comment or complaint?